Nikon D3S, Nikon 14-24 f2.8, Nikon 24-120 f4, Sigma 120-400,f4.5-5.6, Nikon 50mm, f1.4. 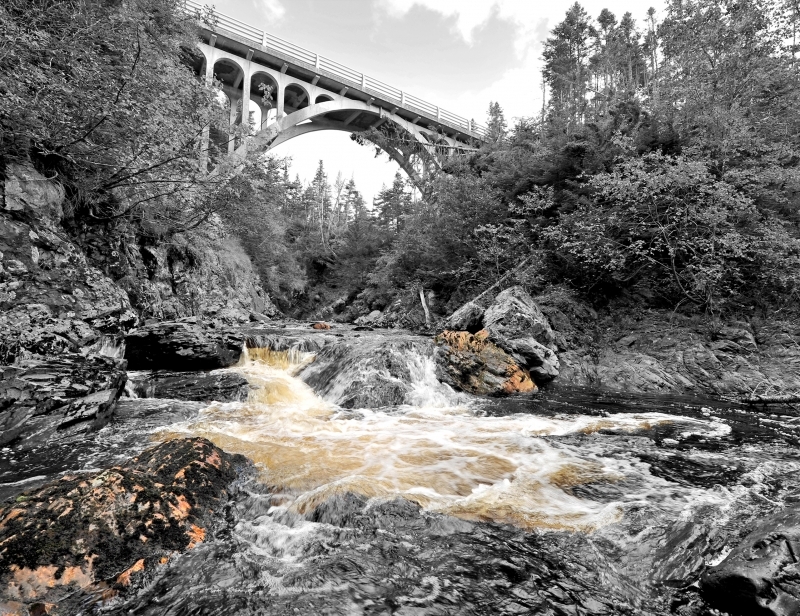 A beautiful view from under the Cataracts bridge. Placentia area, Newfoundland, Canada.